Survival Guide: Dublin with Food Allergies: Gluten Free Girl’s Pickling Party: Pickled Peaches! Gluten Free Girl’s Pickling Party: Pickled Peaches! ... and I’m sure with a bit of creative thinking there could be happy accompaniments for vegetarian and vegan dishes too! The great thing is that the recipe is naturally 1) Vinegar free and 2) Free from most all the big food allergens. It is also left wide open for alterations, substitutions and creativity. Note: If you are allergic or intolerant to vinegar you can pickle particularly moist foods with salt/brine. Umeboshi Plums (pictured above) are a traditional Japanese ‘dessert’ which is free from vinegar, using a salt based solution for the pickling (it also alkalizes your system almost immediately). 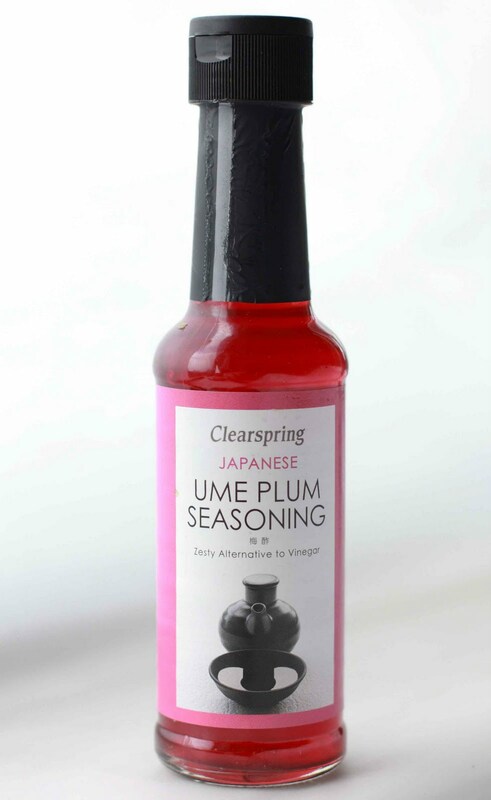 Also in vinegar and pickling news, I recently came across Clearsping Ume Plum Seasoning (in the Asia Market, Drury St, Dublin 2) which is from the Umeboshi Plum pickling process and is an alternative to Vinegar. Ingredients: Ume plums (83%) Sea Salt, Red Shiso (perilla) leaves. I seriously can’t wait to try some Ume Plum Seasoning on some chips (the french fried kind) because I was/am/always will be a SERIOUS vinegar lover.. I mean, my mouth is literally salivating just writing this! ... so a substitute for vinegar on my chips would be the next best thing to heaven! Bring all the ingredients to a boil on the stovetop, cover and put into the preheated oven (usr an oven-proff dish!) for 20 minutes. To Sterilize jars submerge the jars, and lids in boiling water for 7-10 minutes. When filling the jars be sure to leave some room at the top and seal with the lid. If the lid does not ‘indent’ the jar is not sealed. My biggest problem was finding the jars.. I didn’t have any stocked up ones from jams etc because domestic goddess behaviour is still new to me so I searched the city high and low until I finally resolved that the pricier 'Kitchen Complements' (Chatham Street, Dublin 2) was my only hope. I got a 6 pack of really elegant jars for €14+ ... it was sad but pretty and at least now I have them when I try some of Darina’s other pickling recipes!! My other faux pas was with the peaches themselves. I had been thoroughly enjoying my cheap and really tasty peaches from Lidl for a few weeks now. They were so fresh and ripe and affordable that a girl couldn’t ask for more fruit-wise but when I was in town jar hunting I happened upon an organic fruit and vegetable stand. They had a peach cut for tasting and it was delicious so I decided to take a seemingly not-so chancy chance and splurge on 10 organic peaches to ensure that my pickling project came up trumps - right. The peaches cost me over €6 and to my disgust, half of them were resident of yuck-ville! Some were lovely like the one I tasted but I had to throw 3 or 4 of them away because of that horrible yuck texture that peaches can so often have. Perhaps it wouldn’t have made a huge impact since pickling was traditionally reserved for the falloff but I was thoroughly disappointed and so ended up with only two jars of pickled peaches in the end. Anywho, it was still so much fun and I can’t wait to make presents of the results! That looks amazing. I'm really curious to know what that plum vinegar tastes like and well done on your pickling prowess! These looks so good! And the photograph of the peaches on the cutting board is really lovely. Thanks for pickling! The ume plum seasoning tastes really salty. I tried it on chips the other day but you would want to say no to any extra salt..but it kid of works. I haven't read loads on the acid/alkaline but there is a book called Gut Reaction that discusses it briefly. you could also try to include some baby food jars in your diet (they tend to be free from almost everything and could be added to a pasta sauce or curry, or the fruity ones as a dessert sauce) and then you'd have some cute dinky jam jars! PS I have the book, too (thanks to C!) and it's great for the basics, I made lovely blackberry and apple jam, and also tried some of the cakes. I have to say her writing style does annoy me though! my kiddies like the "ella's kitchen" pouches, and i sometimes buy the "organix" jars. I try to mostly cook their food myself, but the pouches and jars are handy to have in the bag, in case you get stuck somewhere and don't want to feed them chocolate bars from a vending machine! a friend of mine uses them to gauge what foods her kids like (or, more importantly, dislike! ), before she launches into a cooking, pureeing and freezing frenzy!